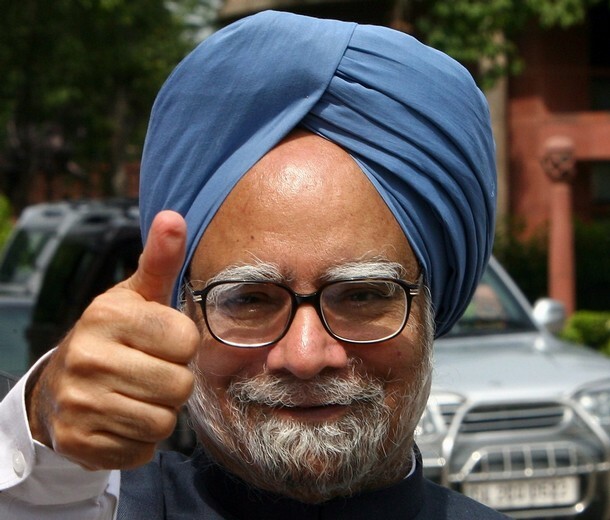 Singh, lapsed in his sofa seat by the fireside, just looked at her with a wan here’s-looking-at-you-kid smile. Then he raised his glass, as if toasting the incredulity of Dev Burman’s exhort, and sniffed a sip. He was seldom known to have indulged himself to more than a peg a night, but that peg of single malt he missed for nothing. He never needed to say that evening how much he still loved his daily drink, but he spoke eloquently, though feebly, of how little he had begun to enjoy living. “I’ve already lived a rich and full life, you see, how much longer can one expect to go on…” For a man who had played the quirk of writing an obituary notice on himself aged 20, he had come a fair distance. He smiled infirmly, a little disagreeably, at the mention of going on to a hundred. His eye flickered, but only as if to say, look at the state of me. The room was dimly lit, like a cavernous shrine; the fire gave off the most light and it picked out books everywhere, ordered and wantonly piled, in shelves, on the floor, on the centre table where bottles of whiskey stood competing with volumes of words. The shrine’s deity sat closest to the fire. He wore a loose cap over his sparse, straggly hair and had a blanket thrown across his knees. It was a cold evening. On his chest he wore a stain of gravy as big as his heart. Khushwant Singh seldom bothered pretending what he was not. He was now an old man; when he ate, he often spilt food onto himself, and he was beyond caring about it. He had chanced upon a piece The Telegraph had run on his feisty toast to turning 99 (In centennial corner, Indian spring With malice towards none of the other 99-ers) and a few days later he’d had word sent to me. He had recovered from the exertions of celebrations around him, he was asking if I would like to drop by for a drink. Dev Burman would be my guide into Sujan Singh Park’s most vaunted precincts. There was a sign by the doorbell to the ground-level flat that said: “Do not ring the bell unless you are expected.” I rang. A hushed usher and a turn in the hallway later I was in the company of the man I had known by so many descriptions I was a little taken aback to see that he fit, rather shriveled, in one corner of a sofa seat. 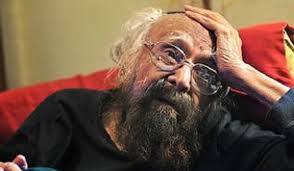 Khushwant Singh, Inner Temple barrister, diplomat, historian, novelist, editor, columnist, scion of the builders of imperial New Delhi, imp, scamp, jokester, famed raconteur of Bacchic ribaldry, much of which was myth he invented around himself. And yet all of that barely completes the description of the man who wrote the most words a Sardar ever did, bar the possibility that Manmohan Singh has been writing his life and times from Gah to goodbye and all that. Khushwant Singh collaborated notoriously with the Indira-Sanjay imposition of Emergency, earned the Padma Bhushan only to spurn it when Mrs Gandhi ordered the army into the Golden Temple in 1984 and rendered Sikhism’s holiest sanctum a bloodied battleground. A quarter century later, he would accept the Padma Vibhushan, the land’s second highest civilian honour, from a successor Congress government. He didn’t have long to bear with it. He went just as he had wished. “All that I hope for is that when death comes to me, it comes swiftly,” Singh wrote in his last book, ‘Absolute Khushwant: The Low Down on Life, Death & Most Things In-Between (Penguin, 2010)’, “without much pain, like fading away in sound slumber.” A fair guess is the note he’d most have preferred to attend his last journey is a crescendo of “Cheers!”, apt salute to the son of a gun. Now gone. 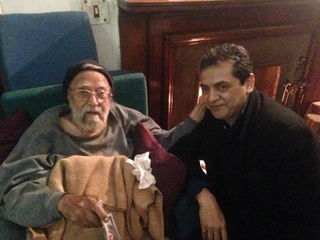 RIP Khushwant Singh. 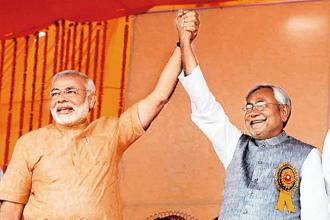 Narendra Modi was up to something, and Nitish did not like the thought of it. But it still did not bother him as long as he did not have to deal with his Gujarat counterpart. That changed on 10 May 2009. The NDA, pushing for L.K. Advani as prime minister, had scheduled one of its biggest shows of strength in the 2009 Lok Sabha campaign at Ludhiana on that date. Invitations had gone out to prominent leaders of all constituent parties and NDA chief ministers. K. Chandrashekhar Rao of the Telangana Rashtra Samithi had decided to participate, breaking away from the UPA. This had brought new buoyancy to NDA ranks. New Delhi, Feb 3: Just one way of reporting this is to tell it like a story of contrasting men in winter. One who has raised hunch-backed toasts to convivial companionship with life’s final season. Another who is still trying to stare off its advance with Spartan ram-rod stiffness. One that has become a nestled shrine of sorts around which the faithful are allowed in to gather once every while. Another that is still looking for a seat out there in the cold. 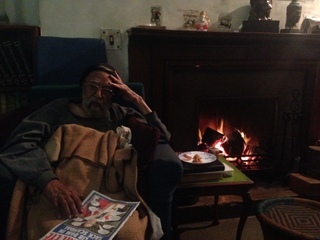 The two winters came to a fleeting and uneasy confluence yesterday — Khushwant Singh turned 99 and L.K. Advani arrived to greet him at the centennial corner. He came with good wishes, a photographer and Black Cats. Among animals, Khushwant has retained only a preference for dogs. Among humans, his tolerance for company has shrunk to a handpicked few. Advani is not among them, which is why he had to ask to come. Advani would have seen an arm-chaired aristocracy of one surrounded by a coalition of the committed that wishes to keep Khushwant just as he is forever — jurist Soli Sorabjee, barrister and good-life aficionado Bhaichand Patel, mushaira impresario Kaamna Prasad, columnist Humra Quraishi, Ambassador Dalip Mehta and his editor spouse Nandini, artiste Vrindavan Solanki, who busied himself sketching a portrait. For the record, Singh was replying to the motion of thanks to the President’s address, but for those that heard him, this was as close as it could come to a declaration of candidacy for a third successive term as Prime Minister. 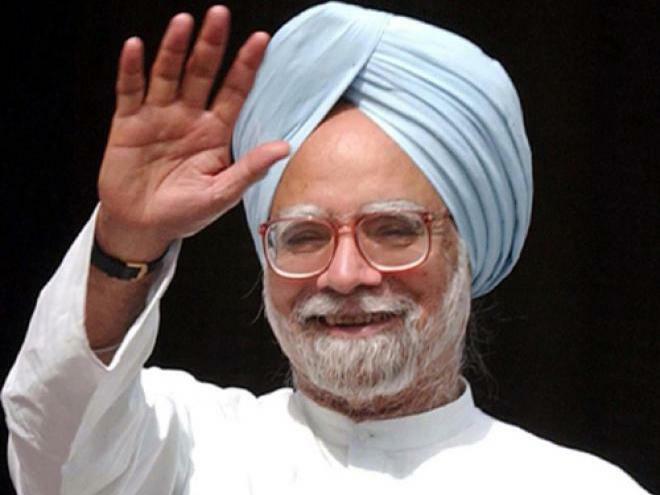 There is time yet for the battle for 2014 to gather steam but Manmohan Singh may have already picked up the war bugle.